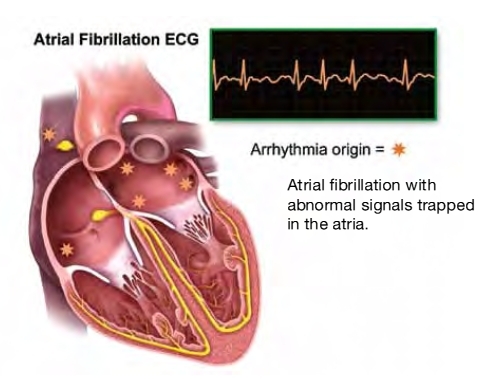 Ablation for Atrial Fibrillation is usually the last step in the treatment of Afib. If you get to this stage it means you have probably been through most, if not all, of the following. 1. Diagnosis – by this time you have been poked, prodded and “EKGed” and your Afib is still causing you fits. 2. Cardioversion – Been “zapped” a few times just to be sure your ticker can’t be brought around to good old NSR. (Normal Sinus Rhythm) I got bug-zapped three times and none held me in NSR for more than a week. 3. Medications – The Docs – cardiologists and electrophysiologists in our case, have tried and watched you fail at least 2 Afib Drugs. 4. Ablation Time – Let the burning or freezing begin. There are several types of Ablations and we will cover them all. 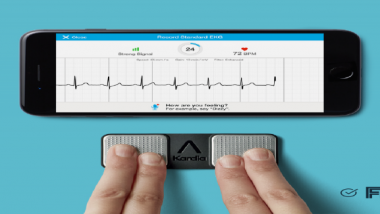 The goal of Ablation for Atrial Fibrillation is to create a “scar” barrier on your heart to block the chaotic electrical impulses that are bombarding the sinus node of your heart and making it beat so fast and irregular. These impulses may originate from several locations in the heart but most usually originate from around your pulmonary vein as it attaches to the heart. It is believed some of the cells that make up these vessels are closely related to the cardiac cells in your heart and produce the errant signals that cause Afib. Afib ablations are not always a permanent fix as the lesions(scars) produced sometimes heal to the point the errant signals again crop up.